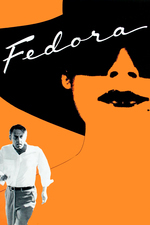 Billy Wilder's penultimate movie, co-written with I.A.L. Diamond: Down-on-his-luck Hollywood producer Barry 'Dutch' Detweiler attempts to lure Fedora, a famous but reclusive film actress out of retirement. Watch it. Wiki (spoilers). Janet Maslin's largely favourable NYT review in 1978. Ebert gave it 2.5/5: "Should you see it? I dunno." Stumbled across this by accident and saw the opening credits. Wilder? Diamond? Holden? This had to be worth my time. And, boy howdy, it was. I dunno if I've ever seen a better contender for the late, great Movieline's Bad Movies We Love column. Take all of Sunset Boulevard's startling genius and replace it with ripe gorgonzola, throw in a baffling subplot about the overpowering magnetism of Michael York, and garnish with atrocious dubbing of two of the leads with a Count-from-Sesame Street comedy accent; it's purest tosh. Lines like "To pump out the stomach, that is easy. The mind, that is another thing" and "I guess no gentleman would bring up an old affair, but I'm no gentleman" abound. I think I heard a Wilhelm Scream at one point. So creaky and improbable, it wears a sort of ballsy old fashioned-ness on its sleeve, but forgets all the good things about old movies and just retains the worst parts. Wilder takes a couple of pot shots at the "young men with beards" making films now (1978, that is). But for all it's faults, it's never boring. Somehow I have never even heard of this. Can't wait.